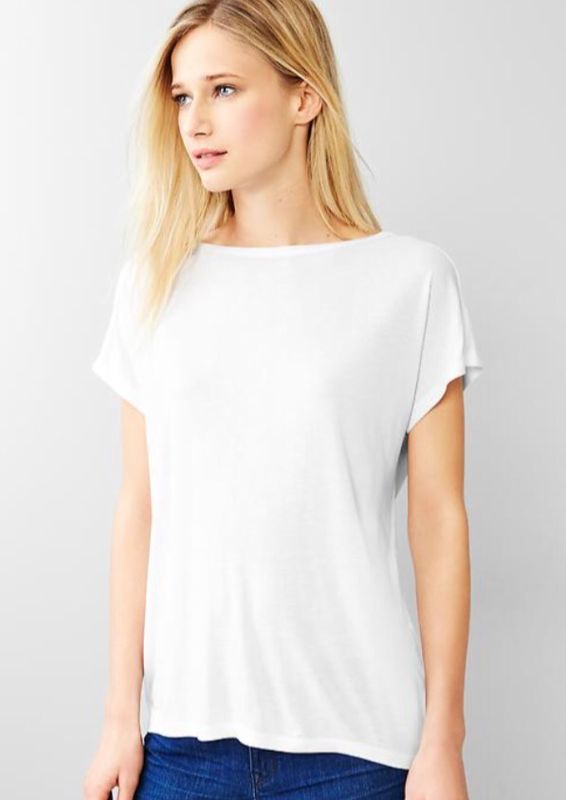 In honor of Memorial Day, otherwise known as the unofficial gateway to summer, I am here to tell you that the fluid high-low tee from Gap is the BEST summer t-shirt. It’s loose but not too loose, the back is just long enough to cover your bum but isn’t ridiculously long, and the front isn’t ridiculously short, either. I’m constantly on a quest for the best basic t-shirts and I’m so happy I found this one. I plan on basically living in it. I bought the white, because a plain white tee is my summer uniform, but I’m probably going to go back for a black one. Heck maybe I’ll even go crazy and get a striped one too! AND everything at Gap is 40% off this weekend. This past winter was no joke here in the Northeast. It’s nearly Memorial Day and I am just now reaching a place where I even feel comfortable discussing it. We got a lot of snow. Like, a lot, a lot. The MBTA shut down. We flat out ran out of places to put the snow, especially in the city. It was cold. It was a terrible, horrible, no good, very bad winter. Naturally, we bought a house just in time for said horrible winter. Just before all the snow started, we bought new couches. It was a Sunday. “We’ll deliver them on Wednesday” they told us. Great. Can’t wait. We’re so excited. Huge blizzard on Tuesday. Delivery delayed. Not a problem, we can wait. 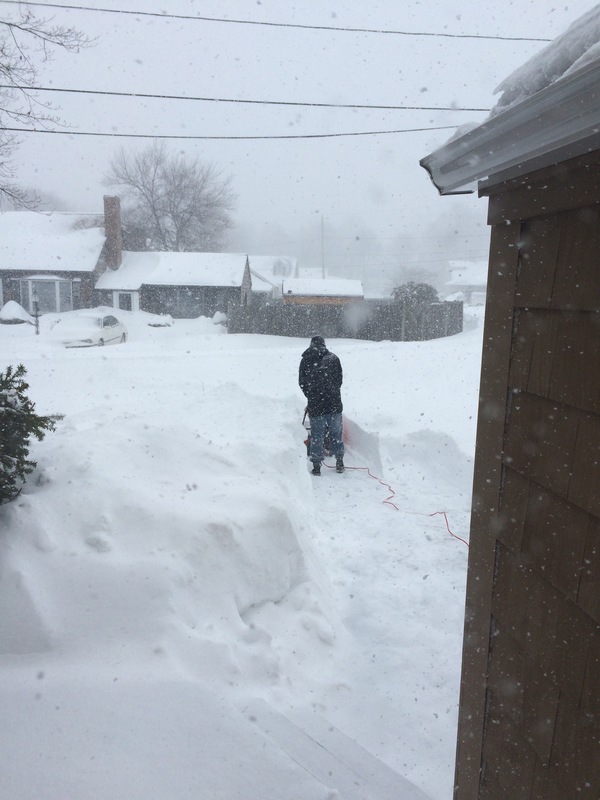 Huge blizzards continue. 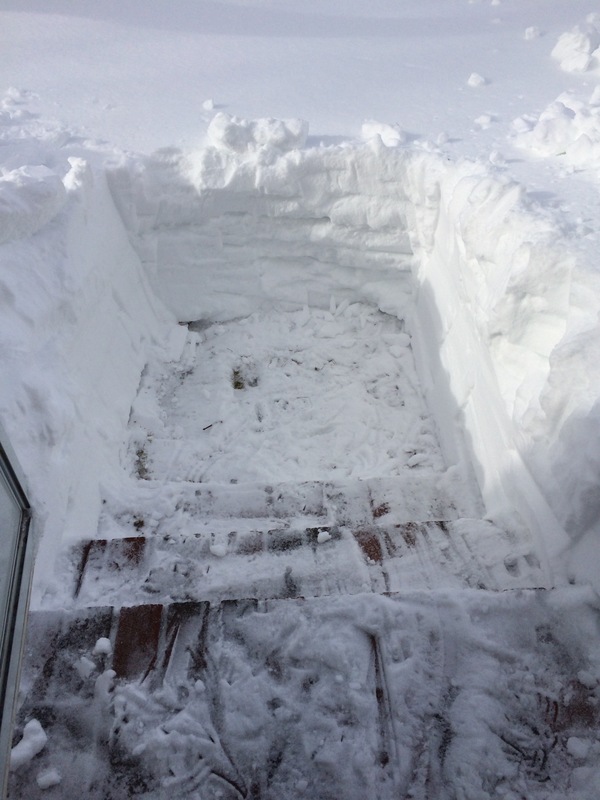 We dig out the driveway and the side door that we always use to get in and out of the house, ignoring the front door because we don’t ever use it. Then, once there was a good three feet of snow on the ground, we realized the new couches wouldn’t fit through the side door, into the breezeway, around the kitchen island, and through the doorway into the living room. They would have to come in through the front door. 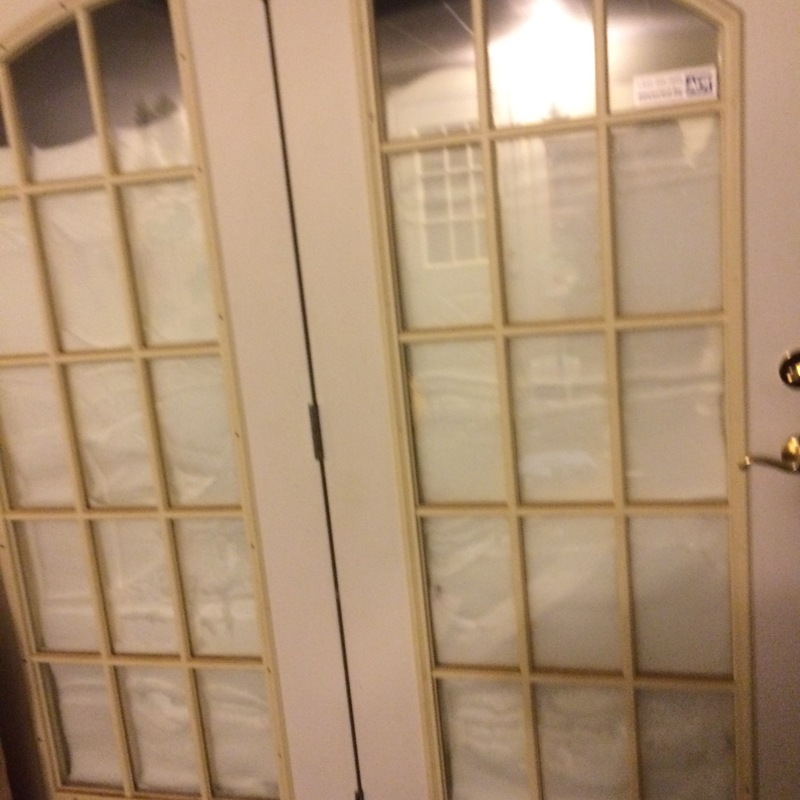 The front door currently blocked by three feet of snow. We call and push back the couch delivery as long as they’d let us, figuring the snow will surely melt enough by March. We found ourselves spending a solid week digging a big enough path from the front door to the street so the guys from the furniture store could deliver the couches. Do you know what it’s like to try to dig through a snowbank composed entirely of snow that plows have been condensing on the side of the road for months? Not super fun. But we did it! And it turns out shoveling burns a ton of calories! 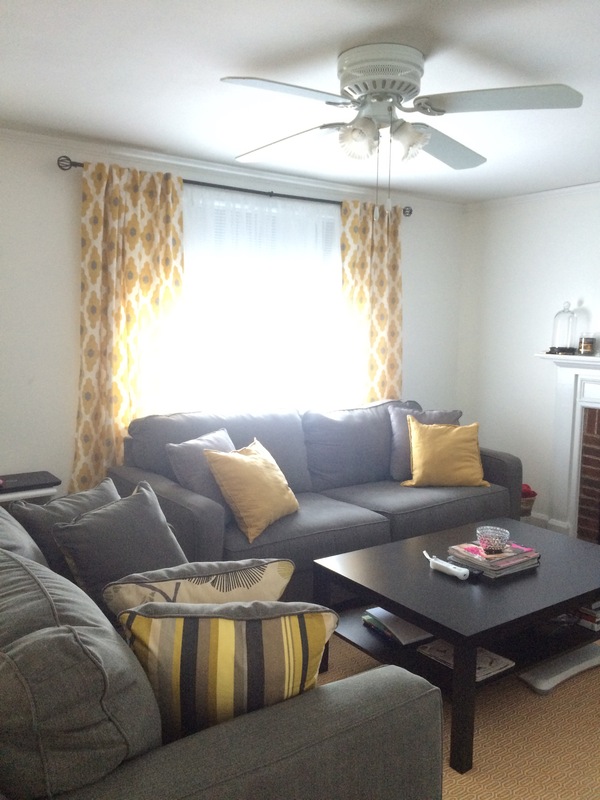 And the couches look great! And finally, finally, the snow did melt.